• Place the editing lines after the operator. • Press the [BkSp] key. • Press the [Delete] key.In the above examples, it is easy to see what “before” and “after” mean because theexpressions involved naturally flow from left to right, the same way we read. Fractionsbehave the same way. Since we would naturally say “a over b,” putting the editing lines”after” the division bar means putting them just before the b. Similarly, putting theediting lines “before” the division bar means putting them immediately after the a. Thefollowing example illustrates this:For certain operators, it may not be clear where to put the editing lines. For example,it is not clear when looking at Ixl or x what “before” and “after” mean. When thishappens, Mathcad resolves the ambiguity by referring to the spoken form of theexpression. For example, since you would read x as “x conjugate,” the bar is treatedas being after the x. 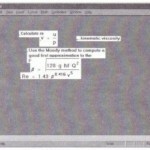 • Here, the two editing lines hold only the 1 numerator. This means any operator youtype will apply only to the numerator. • Typing *c results in this expression. Note how the expression held betweenthe editing lines became the first operandof the multiplication. • Here, the editing lines hold the entire1 fraction. This means any operator youtype will apply to the entire fraction. • Typing *c results in this expression. 1 Note how the everything between theediting lines became the first operand ofthe multiplication. 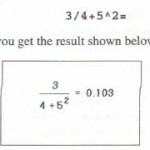 • Here, the editing lines hold the entire fraction as they did in the previous exam- IBple. However, this time the vertical editingline is on the left side instead of onthe right side.Typing *c results in this expression.Note how the expression enclosed by theecliting lines became the second ratherthan the first operand of the multiplication. • Pressing [Space] makes the editinglines grow so that they now hold theentire denominator.Pressing [Space] once makes the editinglines grow again so that they nowhold the entire expression. • At this point, the editing lines can’t becomeany longer. Pressing [Space]brings the editing lines back to the startingpoint of the cycle. • Pressing [Space] makes the editing lines grow so that they now hold theen tire denominator.